Startup Runway is a 501(c) nonprofit organization dedicated to showcasing the top 10% of women- and minority-led startups across the Southeast and connecting them with sophisticated investors who understand early-stage companies. We’re keeping track of our finalists, and will publish updates on them regularly. Today we’re catching up with BANDWAGON, a Startup Runway finalist from our most recent showcase. BANDWAGON tracks qualitative customer data for ticketed events through a proprietary blockchain database that monitors each ticket transaction. Event owners can track the economics of each ticket and stay informed of the end user who ultimately attends the event. 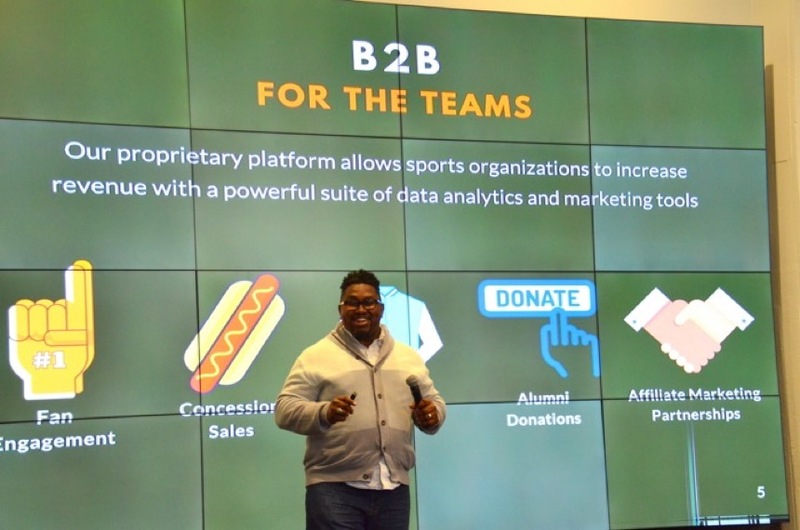 This startup helps owners identify each fan in attendance so that personalized game day experiences can be delivered. BANDWAGON has made some major changes since competing in Startup Runway. According to Harold Hughes, Founder & CEO of BANDWAGON, there has been a big shift in their business model with the integration of a new blockchain technology product, Stadium Identity Management Platform. This system helps professional sports organizations and college athletic departments identify game-day fans and deliver a more personalized experience. BANDWAGON recently competed in the Startup Dubai Office Blockchain Challenge and placed fourth out of the 17 companies competing. BANDWAGON has also partnered with Sacramento State in an effort to better personalize the fan experience at Hornet Stadium this upcoming football season. They have rolled out their Loyalty Card solution this baseball season in preparation for the fall. Another big change to BANDWAGON has been the addition of actor and comedian, Orlando Jones, to their Board of Advisors. We love to see our previous finalists reaching new heights, and we hope that we can help your startup reach its full potential as well! Startup Runway is currently looking for high-velocity tech startups from women and minority founders to participate in our Fall 2018 Showcase on November 1. If you would like to participate in Startup Runway 2018, you can learn more about the qualifications and application process here. You can also click here if you would simply like to purchase tickets for our Fall 2018 Showcase. Make sure to stay tuned for more exciting updates from our previous finalists by following us on Twitter, LinkedIn, and Facebook! Next PostStartup Runway Finalists: Where Are They Now? PART 1: Patientory Inc.